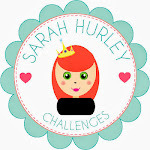 Sarah Hurley 365 (Formerly Sarah Hurley Challenges): It's a Strange time of year. It's a Strange time of year. Hello, Carol here today and I thought I would share a Halloween card I made a wee while ago using the fabulous Angelica Strange Stamps and papers from one of my favourite digi kits 31 Spook Street. 1 - Stamp Angelica onto white card. 2 - Stamp two skulls, one onto the sticky bit of a post it note as you will need that as a mask for the bones and one onto Angelica's dress. 3 - Place the mask over the skull you stamped onto Angelica's dress and stamp two bones like in the picture. 4 - Colour her in with your favourite pens or pencils. I used Promarkers and Flexmarkers. 5 - Fussy cut her out. 6 - Punch out lots of different bits of Halloweeny papers from the 31 Spook Street Digi Kit and go around the edge with a black marker or ink pad. This is a great way to use up scraps of paper. 7 - Layer them onto the page. 8 - Pop Angelica onto some 3d foam and place her on top of the punchie shapes. 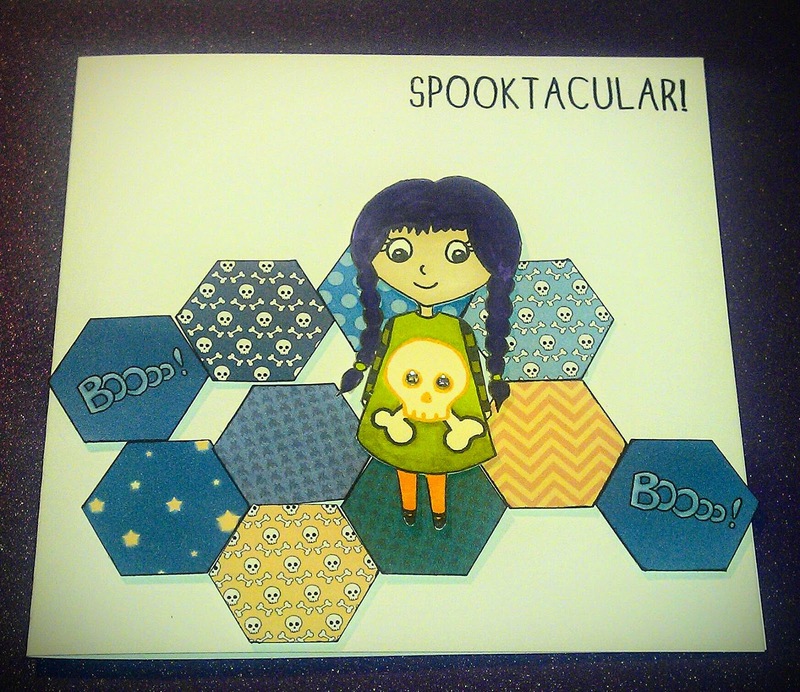 9 - Use the Spooktacular sentiment from the stamps to finish the card. Papers from 31 Spook Street Digi Kit. Thanks for popping by today, we would love it if you could join in our challenge this month, the theme is Halloween.